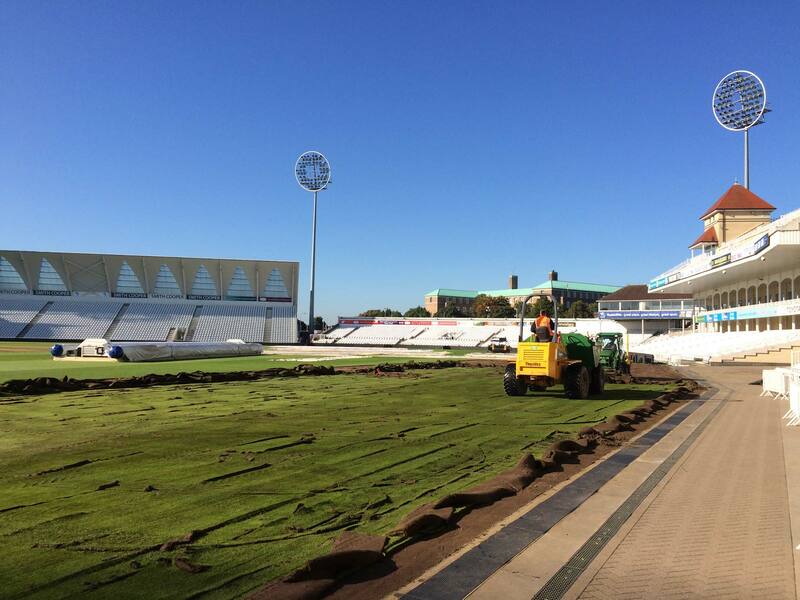 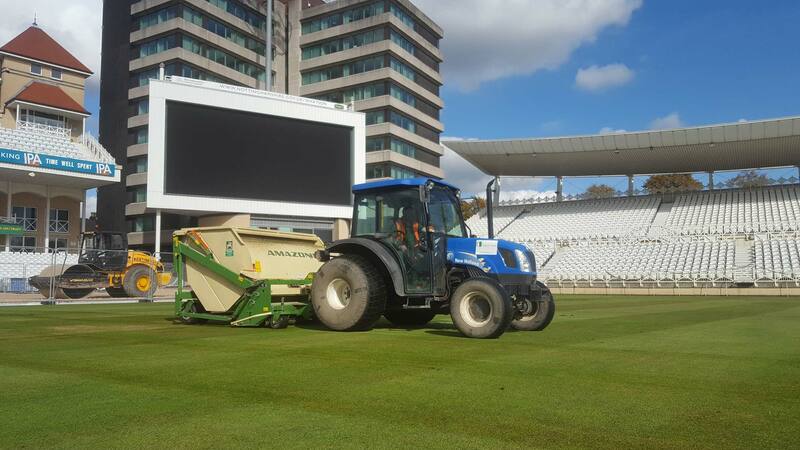 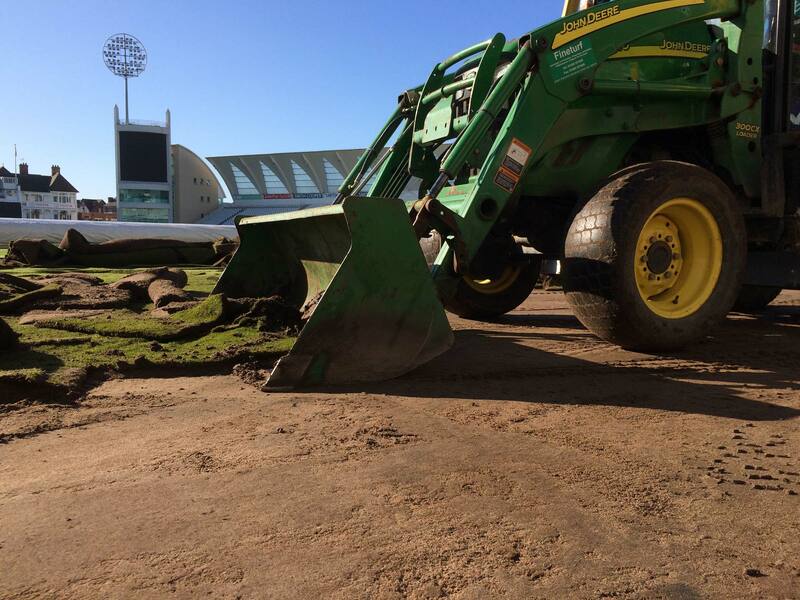 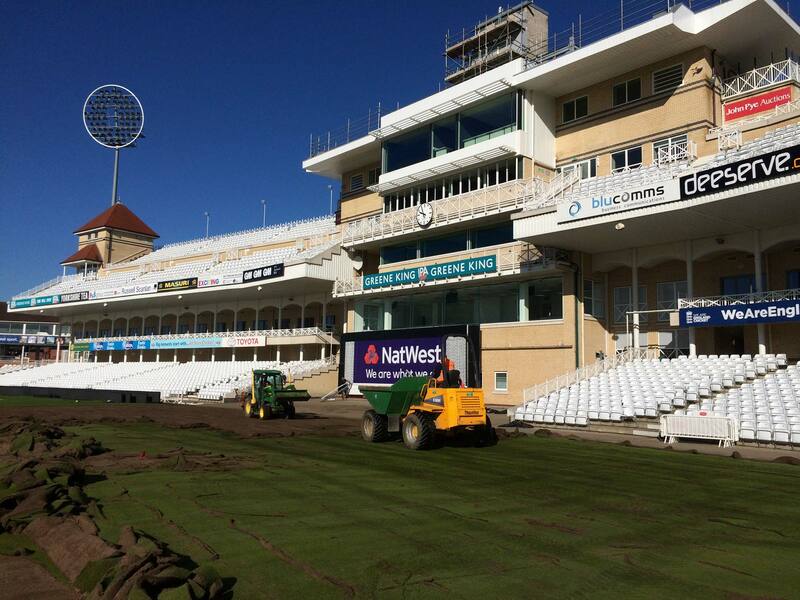 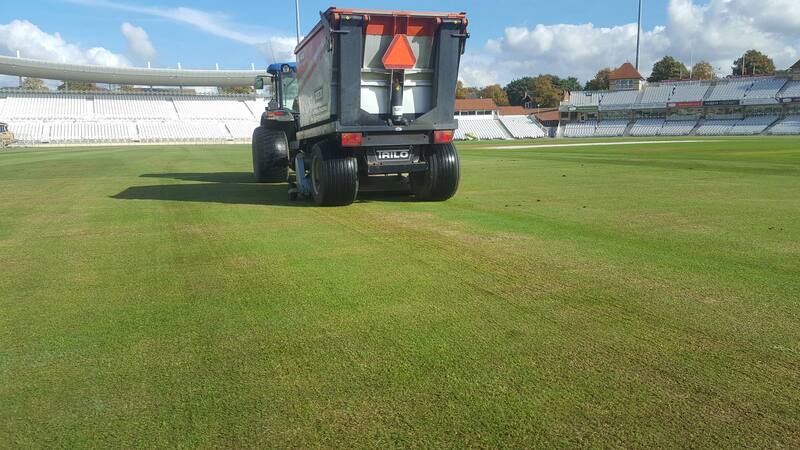 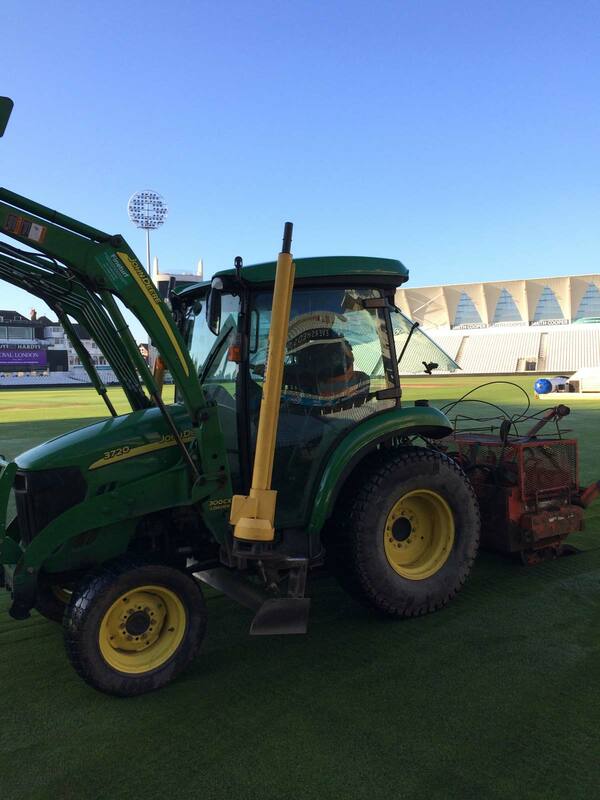 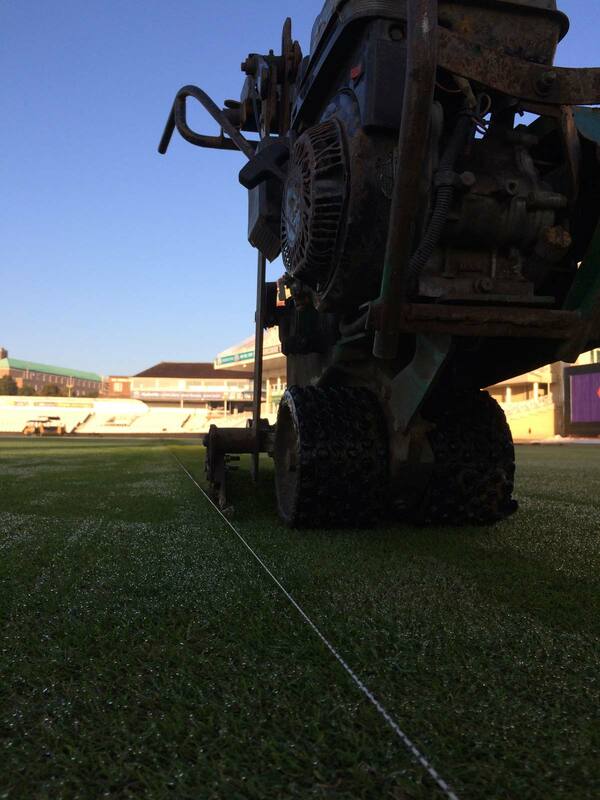 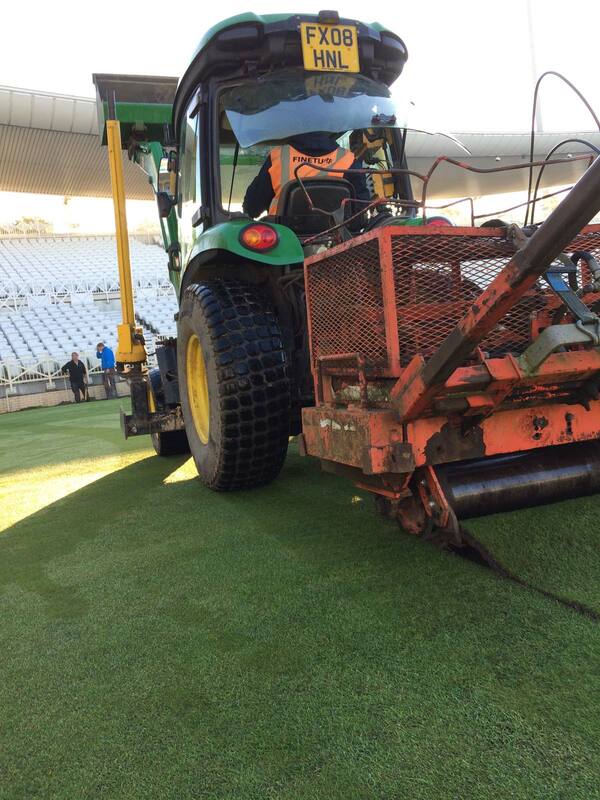 Following the 2017 season we renovated the outfield at Trent Bridge Cricket Ground. 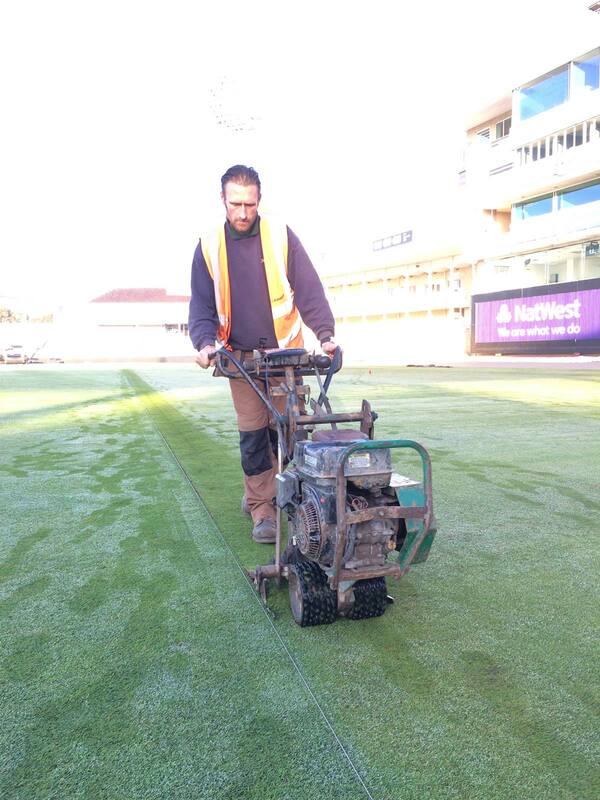 We scarified in multiple directions using an Amazone 210. 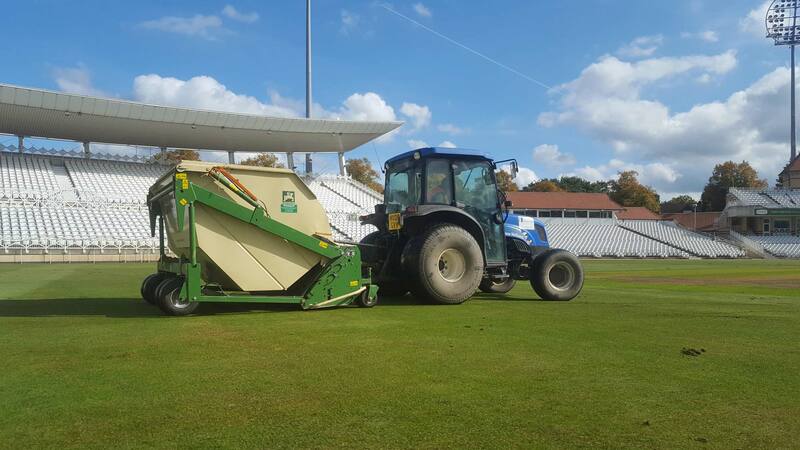 All arisings were collected with a Trilo SG400 and carted off site. 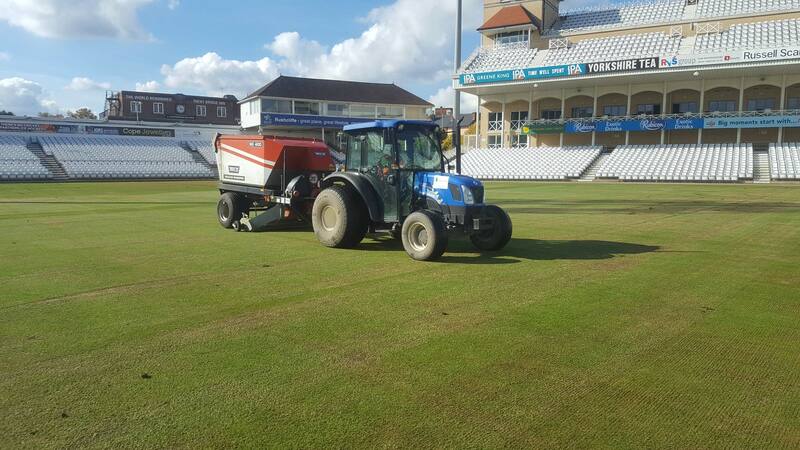 We over seeded the outfield with a Vredo Disc Seeder and Limagrain MM50, a dwarf ryegrass grass seed mixture. 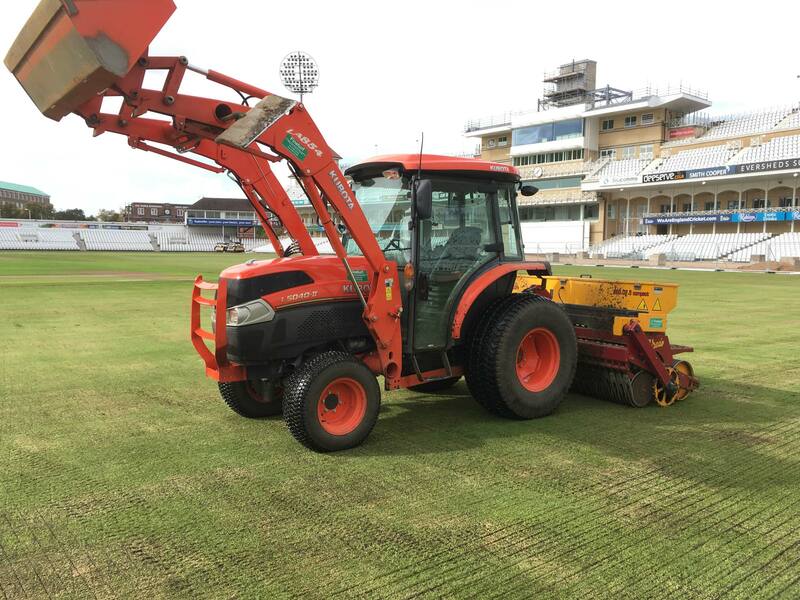 After the renovation works we stripped the outfield turf, next to the Radcliffe Road End, ready for the building contractors to continue with the construction of the new stand.